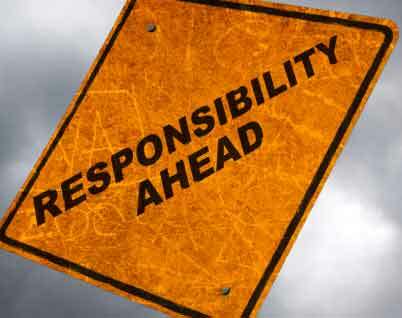 Home / Whose responsibility is it anyway? There seems to be a constant refrain about the lack of skilled people especially in IT to fill open positions. This is an ongoing problem that based on forecasts for 2015 and beyond is not going to get any better. With the Presidents small contribution in the area of immigration this will have a minor impact but his unwillingness along with Congress to expand the numbers of H1B Visa’s makes the problem a more urgent and daunting one. We are not going to be able to manufacture Computer Science graduates over night that just isn’t realistic but what can have an effect is recognizing workers with fundamental knowledge of certain skills and training them in a “boot camp” like fashion to grasp more sophisticated technologies. For example Data Analysts are becoming one of the high demand competences now and forecasted to be even greater in the future. This is a skill driven by people with an affinity for research and ability to take that research and present it in a more understandable format. This is not rocket science and companies that are moving toward building a practice in “Big Data” would be well served to identify complimentary vocations that require those skills and invest in training those people to be data analysts. Industry as a whole must take responsibility for addressing this and not wait for the President or Congress to present a cure, that is just not going to happen and especially during the final two years of a lame duck president. As members of the Staffing industry we as a group should be consolidating our knowledge of present and future demand and our collective investment dollars and creating a “war fund” to address some specific areas that are recurring requirements but don’t take a long involved training program to solve. How long does it take to be reasonably capable in PL SQL, SQL Server, WCF, WPF? These are areas we constantly are asked to provide and the inventory just isn’t there. If we were to join forces and create this “war fund” and allocate this to training people in the areas that are relatively easy wins we might be able to progress to addressing the larger issues such as .Net and Java developers. When a small company like Whitridge can recognize a recurring need for Agile trained Project Managers and Business Analysts and train more than 10% of their field workforce to position them to be certified then why can’t we along with the major (top 100) firms find a way to leverage our knowledge and financial stature to make some major changes in how we replenish our supply of technology trained workers. Industry will drive change here not the government and until we all in industry accept this challenge we will continue to have millions of opportunities go unfilled due to our complacency or fear of making a bold step toward a solution. As a challenge specifically to the staffing industry; I challenge all of us to provide a solution to this increasingly growing problem in 2015 and stop waiting for someone else to do our job, our future success depends on it.